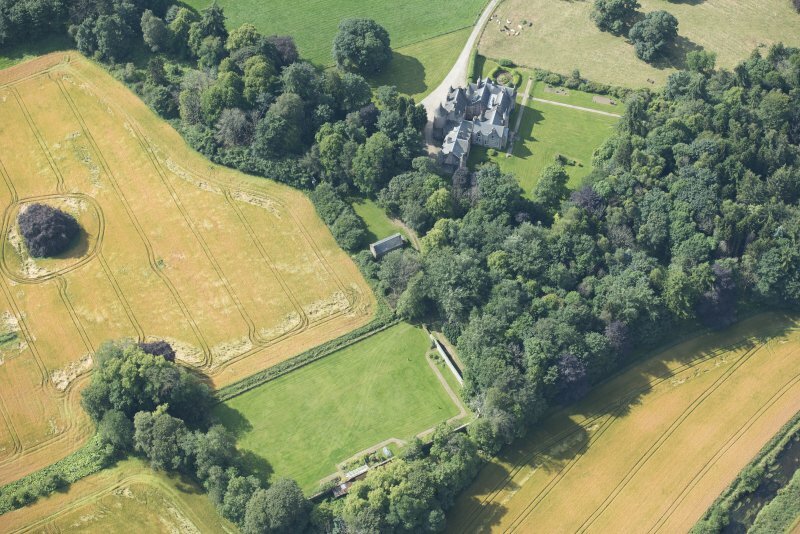 Oblique aerial view of Pitcaple Castle, looking E.
Oblique aerial view of Pitcaple Castle, laundry and walled garden, looking S.
General oblique aerial view of Pitcaple Castle with the cropmarks adjacent, looking to the SSW. 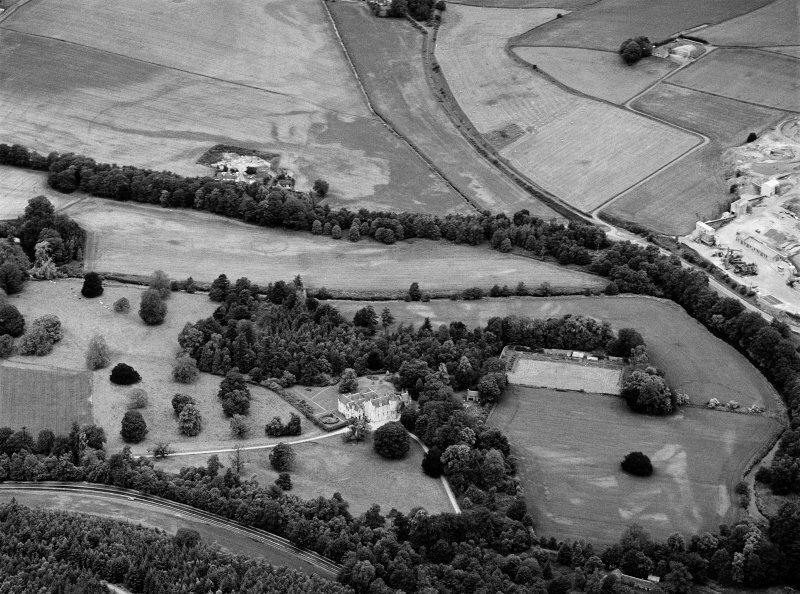 General oblique aerial view centred on Pitcaple Castle with the cropmarks of the enclosure and rig adjacent at Riverbank Wood, looking to the NNW. 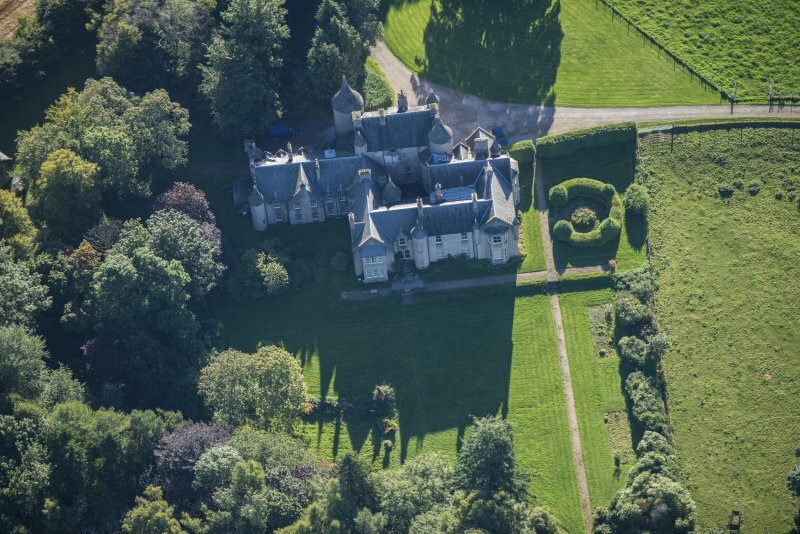 Oblique aerial view of Pitcaple Castle, looking SSW. 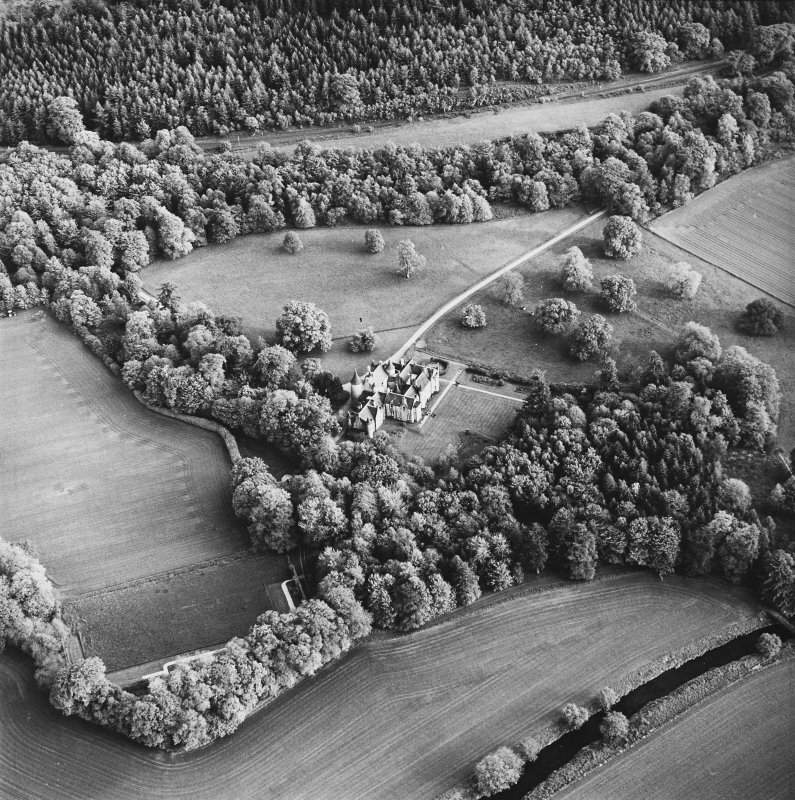 Oblique aerial view of Pitcaple Castle, looking SW.
Oblique aerial view, taken from the N.
Oblique aerial view of Pitcaple Castle, looking NW. 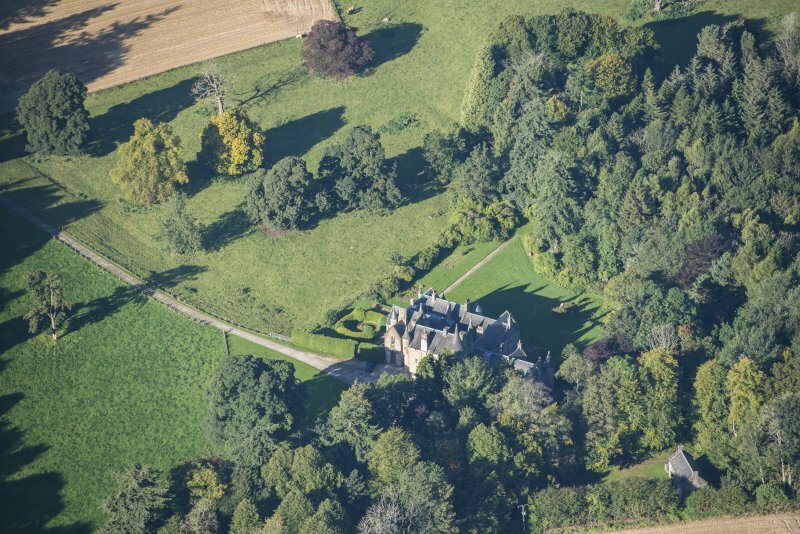 Oblique aerial view of Pitcaple Castle, looking NNE. 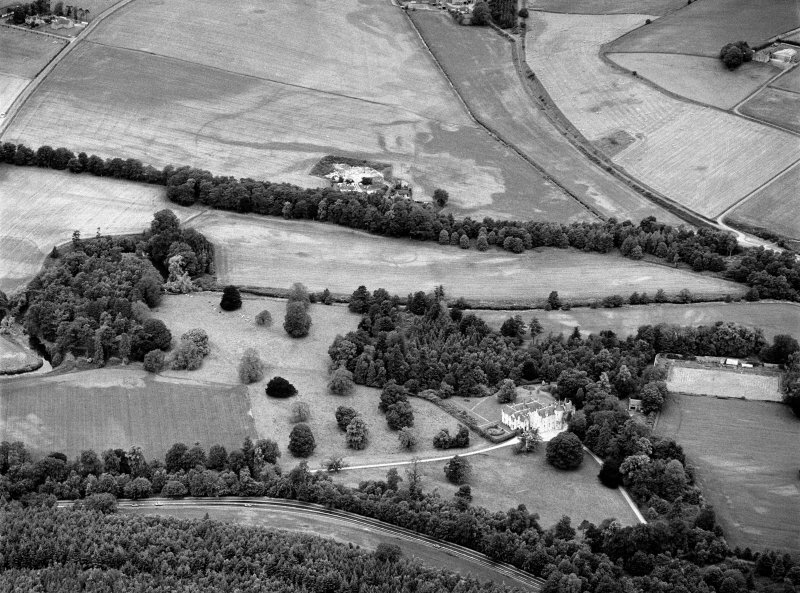 Oblique aerial view of Pitcaple Castle, looking W.
General oblique aerial view of Pitcaple Castle with the cropmarks adjacent, looking to the SW.
Oblique aerial view of Pitcaple Castle, looking WNW. 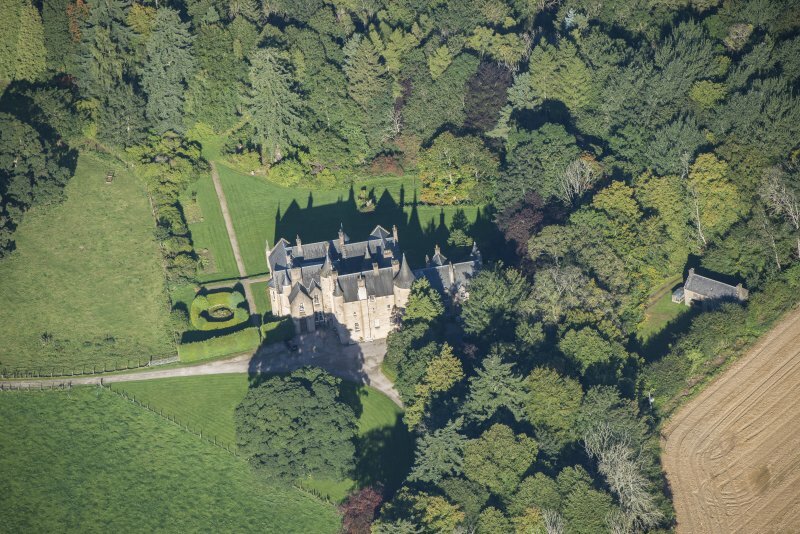 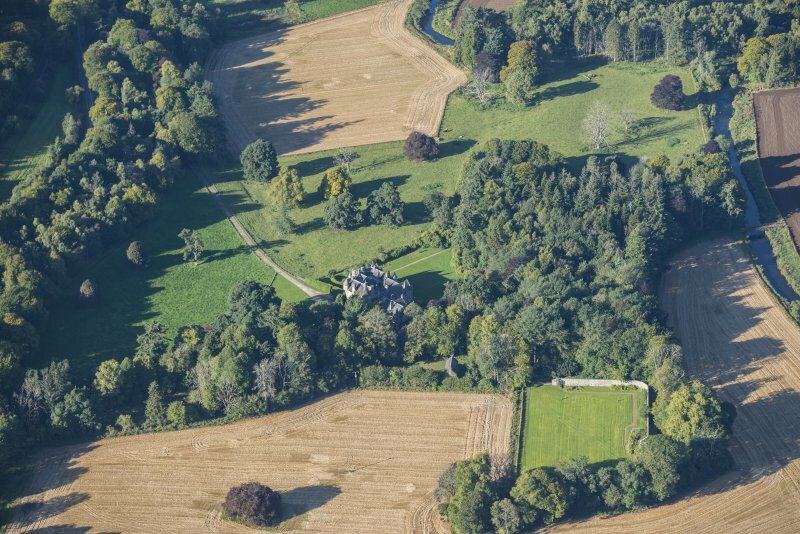 Oblique aerial view of Pitcaple Castle, looking ENE. 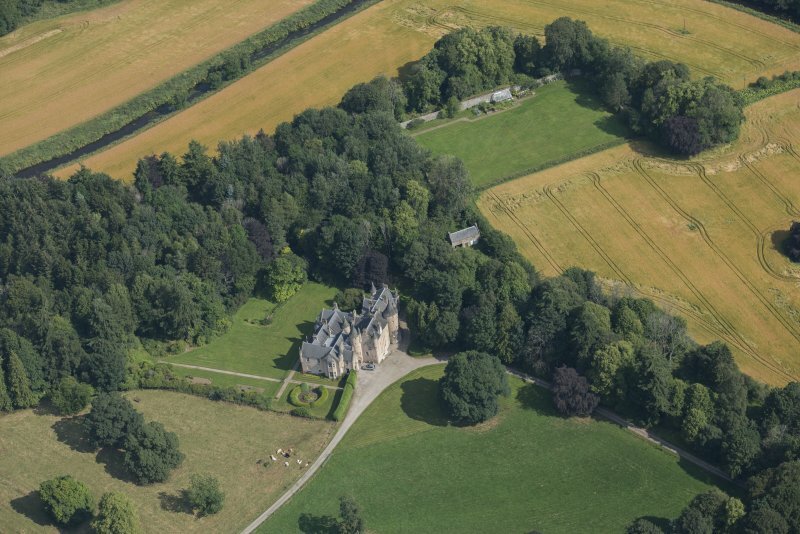 Oblique aerial view of Pitcaple Castle, laundry and walled garden, looking NNE. 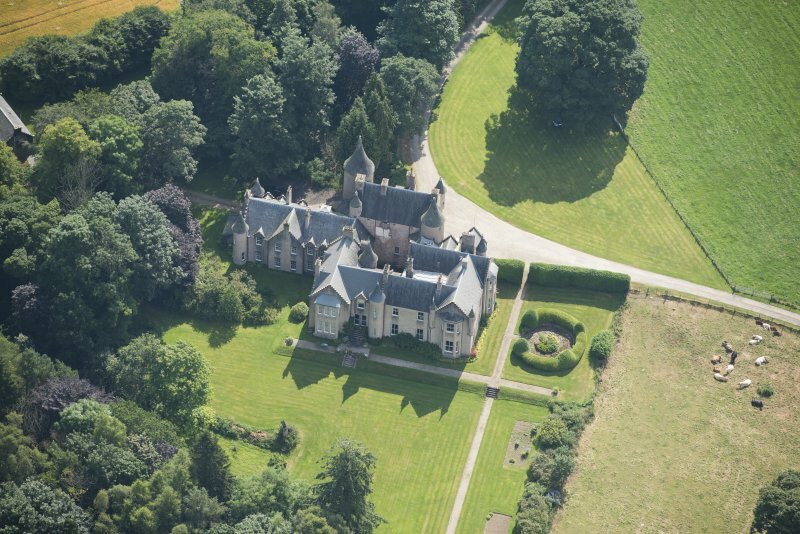 Oblique aerial view of Pitcaple Castle, looking NE. 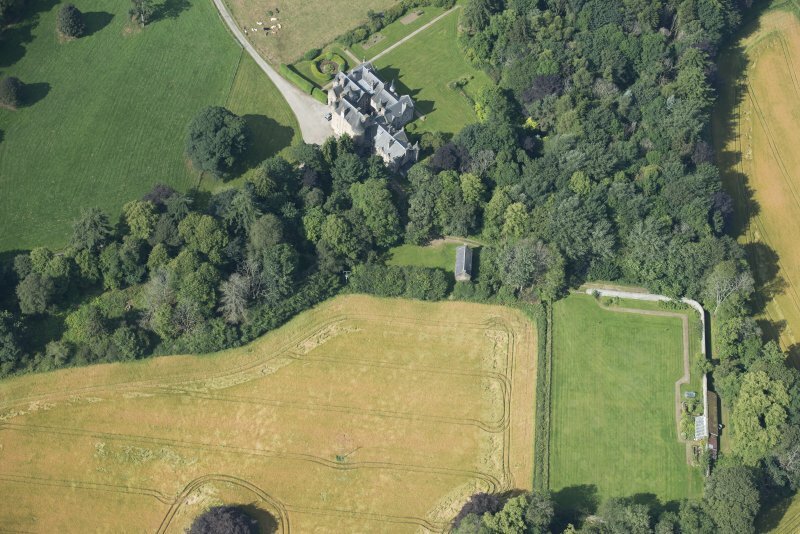 Oblique aerial view of Pitcaple Castle and laundry, looking N.
Oblique aerial view of Pitcaple Castle, laundry and walled garden, looking SSE. 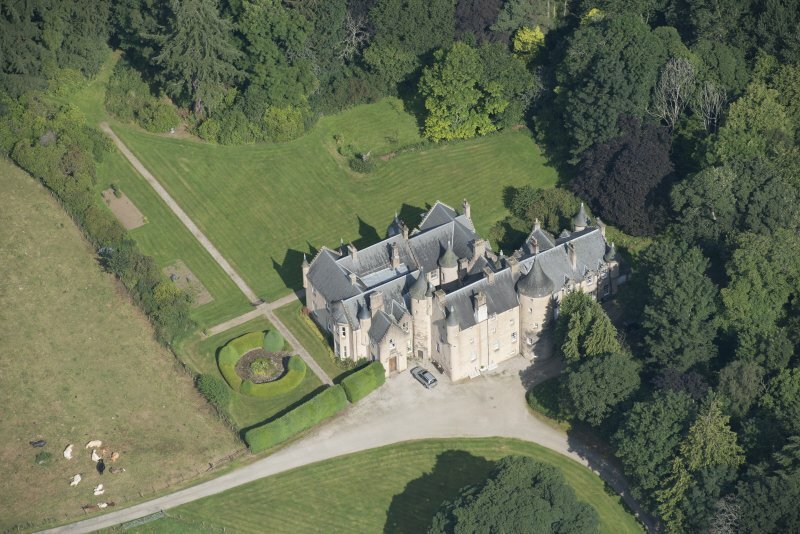 Oblique aerial view of Pitcaple Castle, looking WSW. 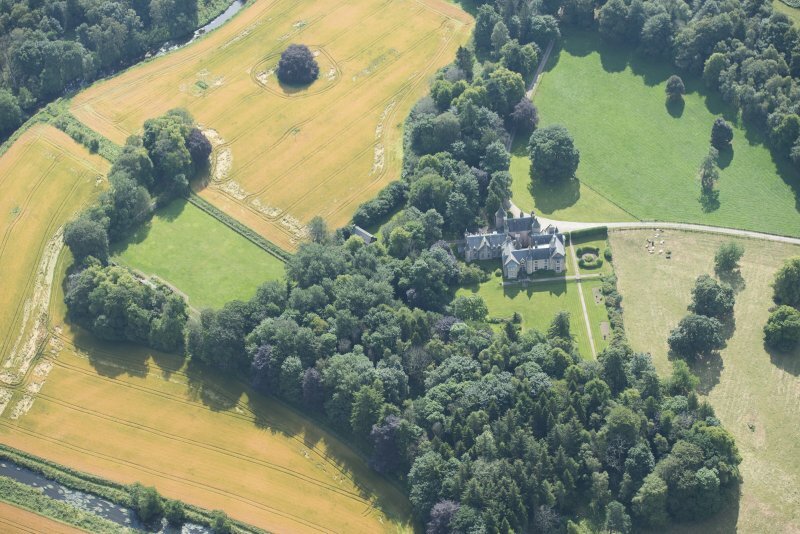 Oblique aerial view of Pitcaple Castle, looking NNW. 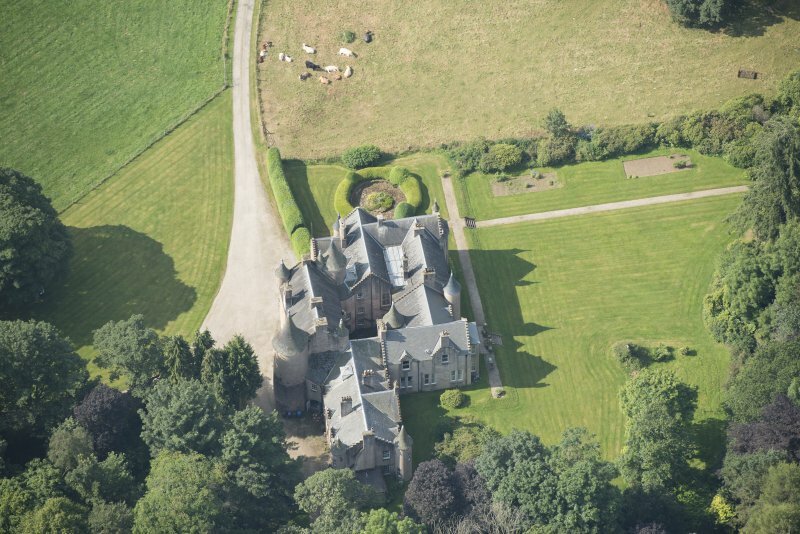 Oblique aerial view of Pitcaple Castle, laundry and walled garden, looking WSW. 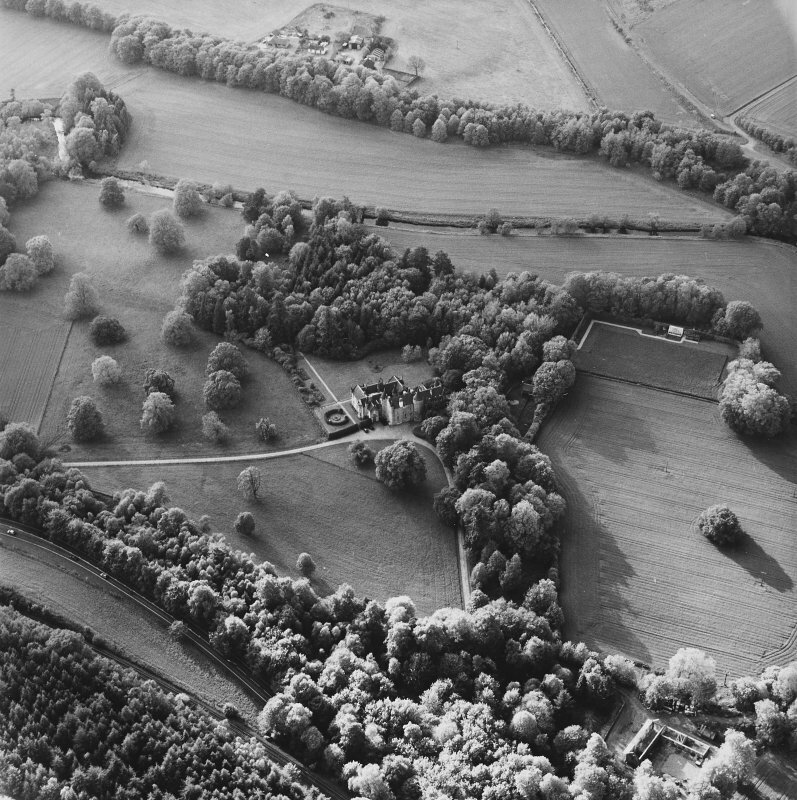 Oblique aerial view of Pitcaple Castle, looking SE. 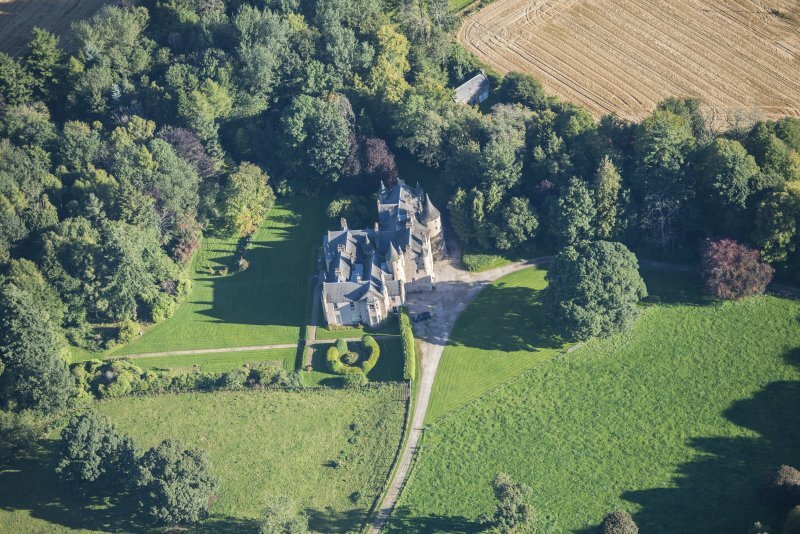 reconstructed early 17th century as a substantial Z-plan chateau of four storeys, five for the round angle towers, all harled, crowstepped and very select. 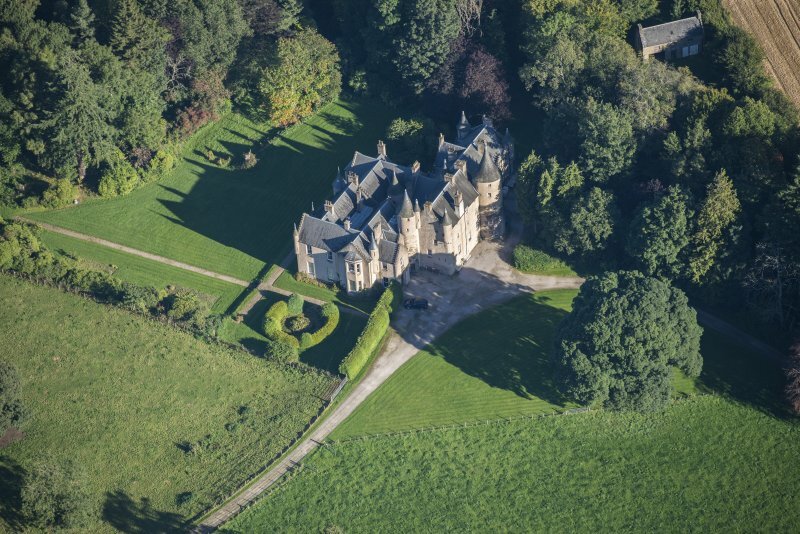 William Burn added a two-storey extension to the south-west with a new entrance porch and turret in the angle in 1830. 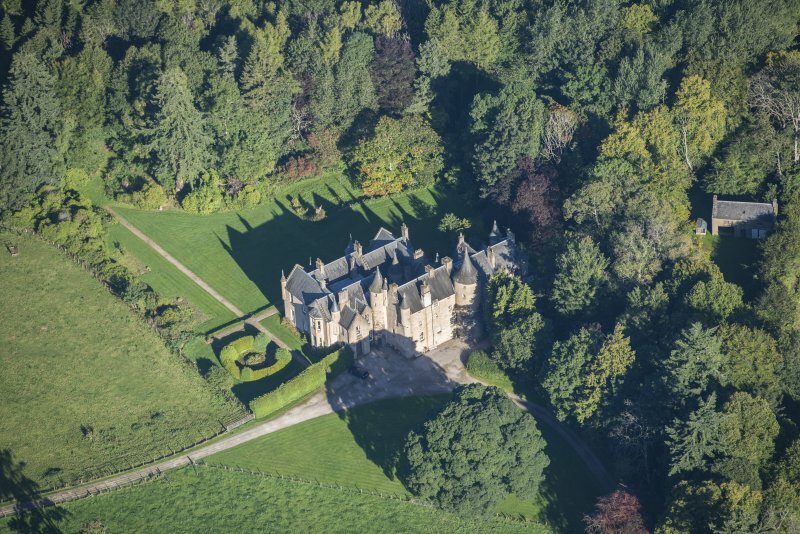 Service court and other additions including red granite Corinthian columns of 1870 in hall by Duncan MacMillan. 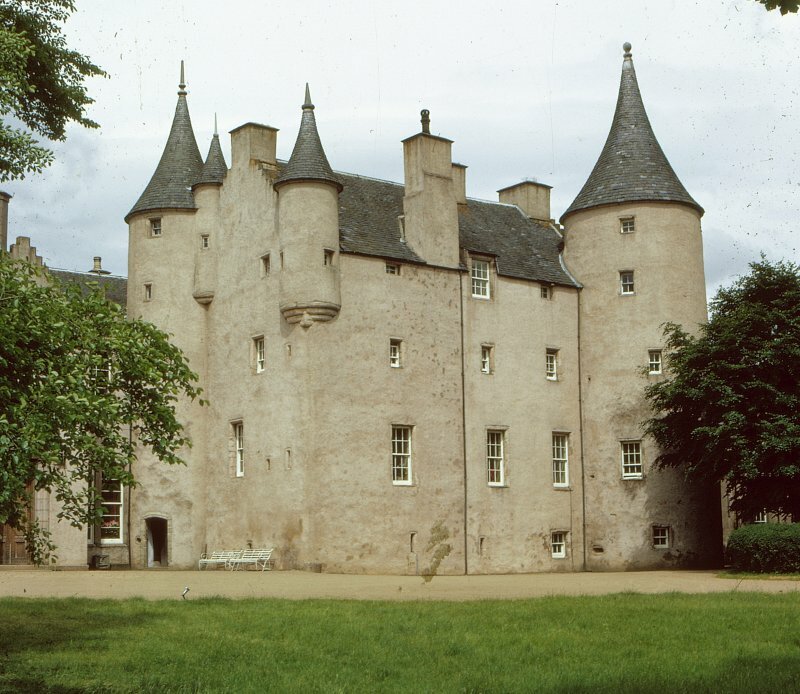 Burn also redid concave tower and delightfully spiky turret roofs. 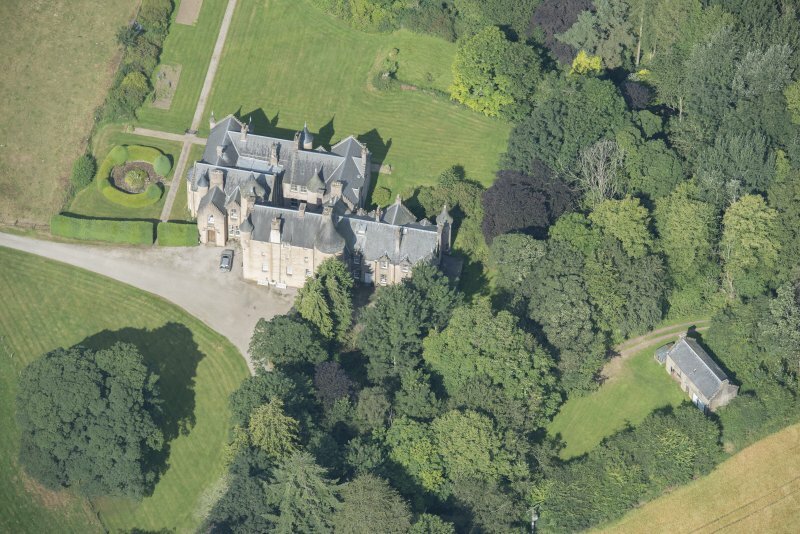 For Food Vessel and 'urn' within the policies of Pitcaple Castle, see NJ72NW 27 and NJ72NW 30 respectively. 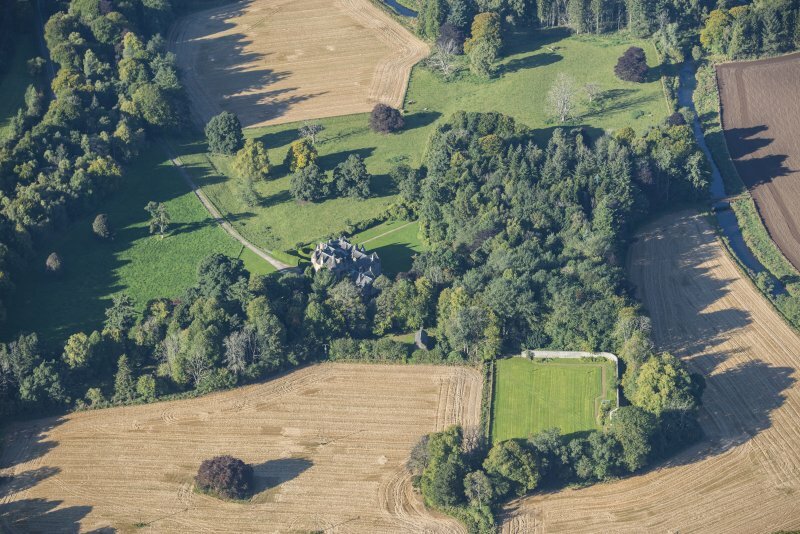 For cropmark and rig within the policies of Pitcaple Castle, see NJ72NW 67 and NJ72NW 119 -22 respectively. 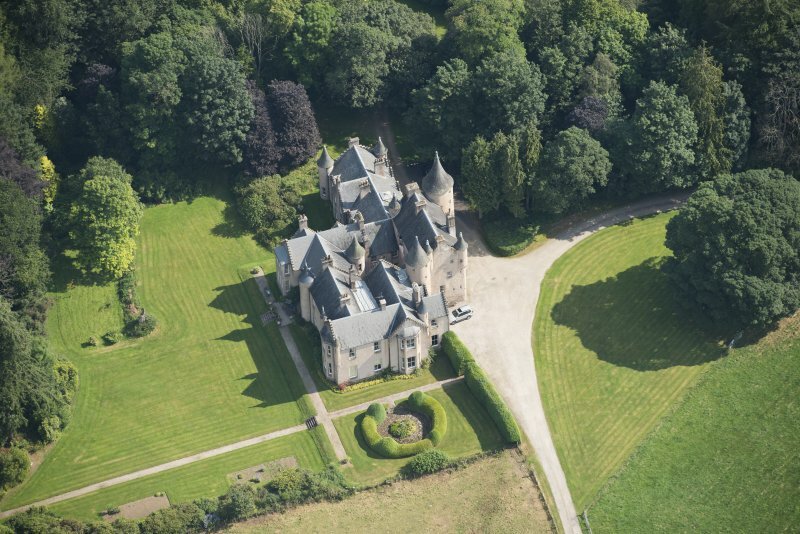 For sand and gravel workings within the policies of Pitcaple Castle, see NJ72NW 134. 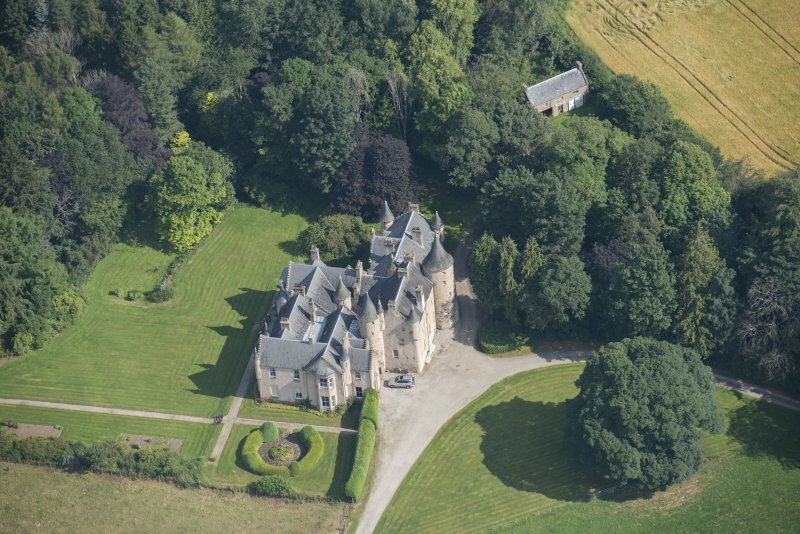 (NJ 7271 2606) Pitcaple Castle (NR). 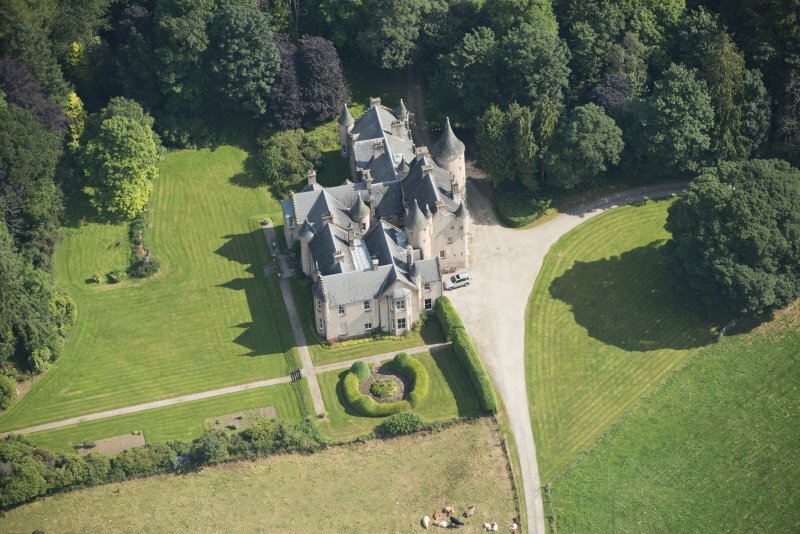 Pitcaple Castle, erected probably shortly before 1570, and renovated and extended c.1830, is said to have been visited by Queen Mary in 1562 and by Charles II in 1650. 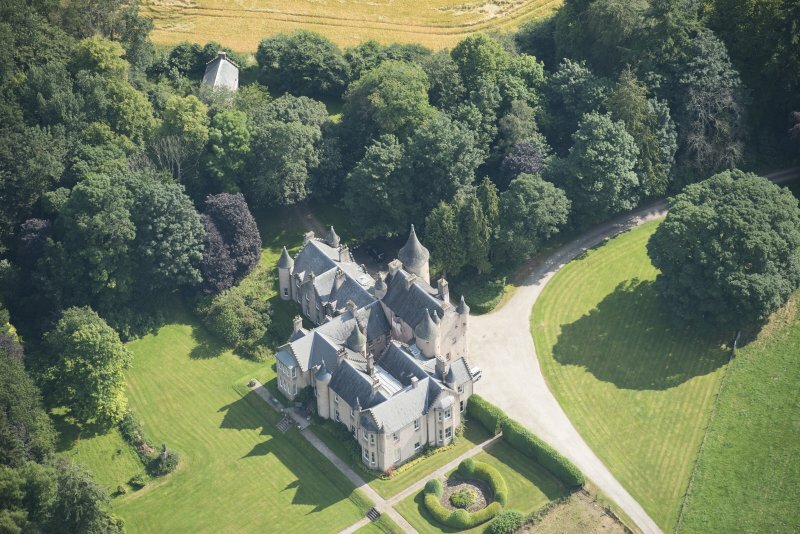 Pitcaple is one of the best examples in Aberdeenshire of the Z-plan. 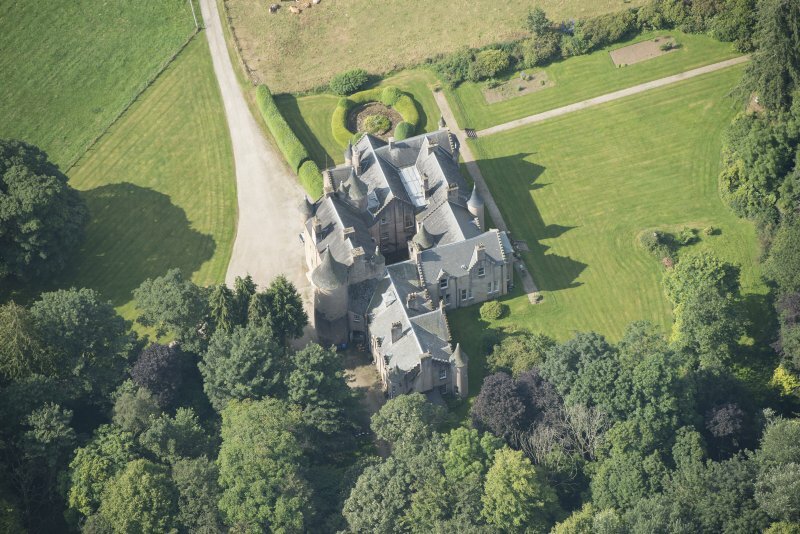 The main building is rectangular, 4 storeys high, with a round stair tower on the W angle and a massive round tower on the E angle. 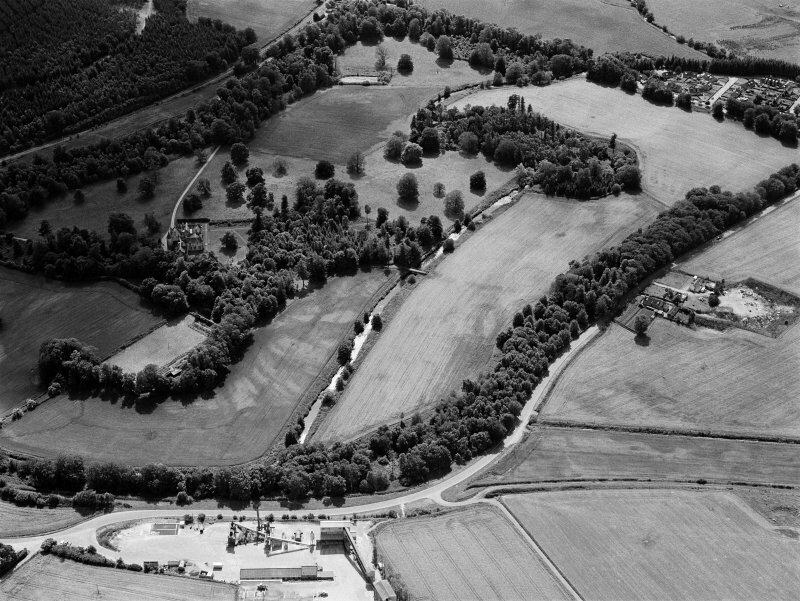 The castle was fortified by a wall, forming a courtyard, and beyond this a moat, but apart from slight traces of the moat on the N and E nothing remains of these external defences. 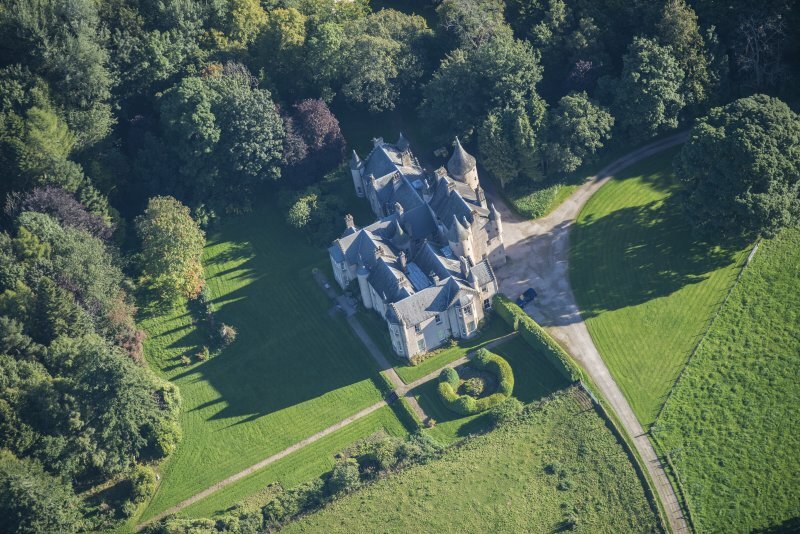 Extensive modern additions were made c.1830. 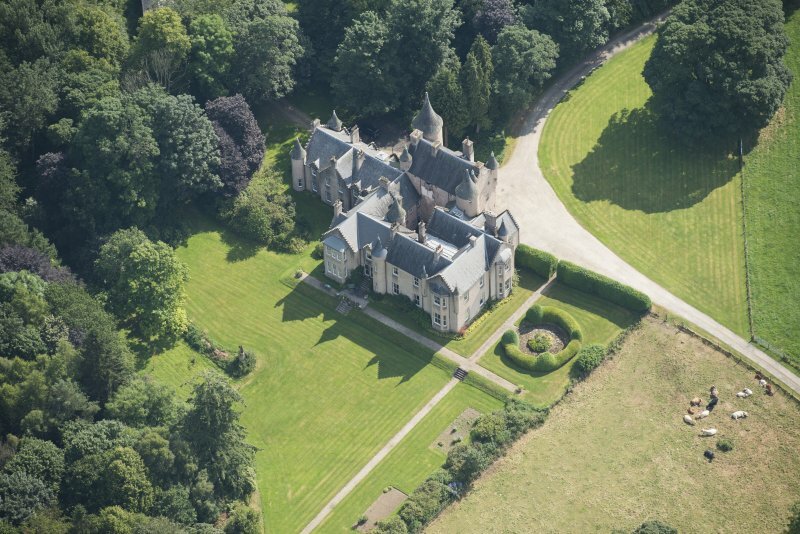 Pitcaple Castle, as described by Simpson (1927), is in good condition, with the later additions on the N and W sides. 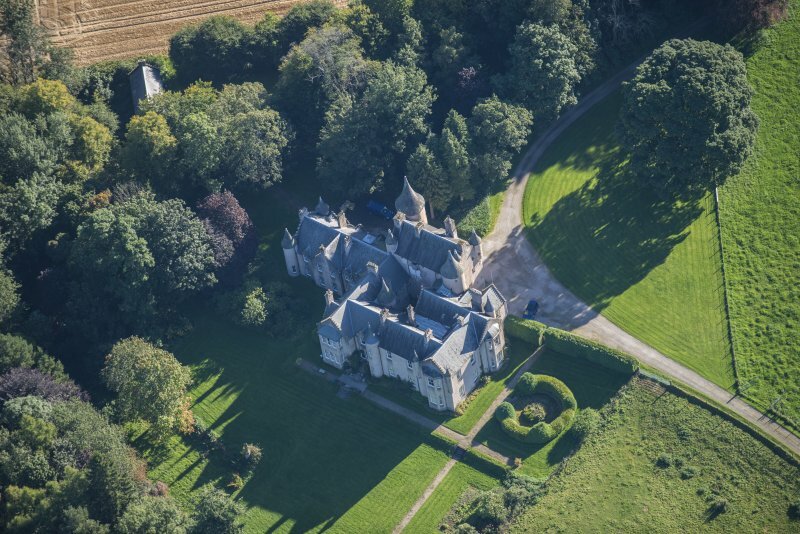 According to the present owner of Pitcaple Castle, Mrs Burges-Lumsden, Pitcaple, renovations over the past few years, revealing the stone-work of the vaulted cellars and a well in the kitchen, date the castle to about 1470. 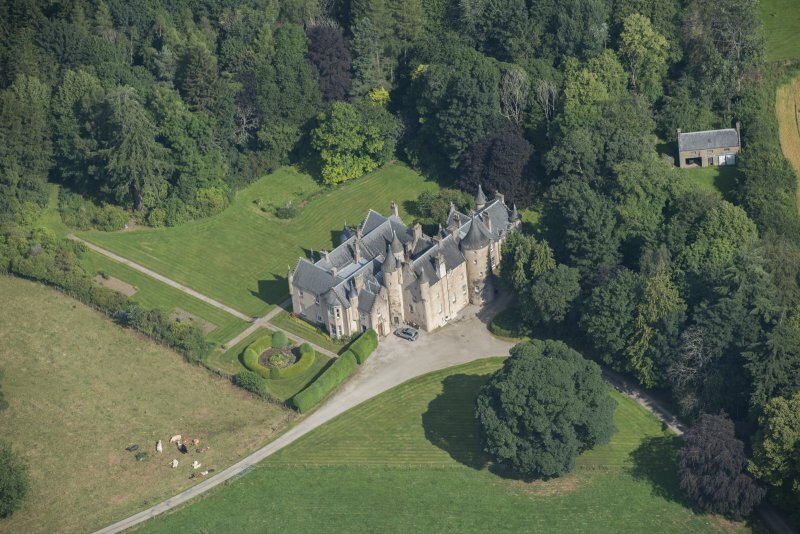 There is now no trace of the moat. 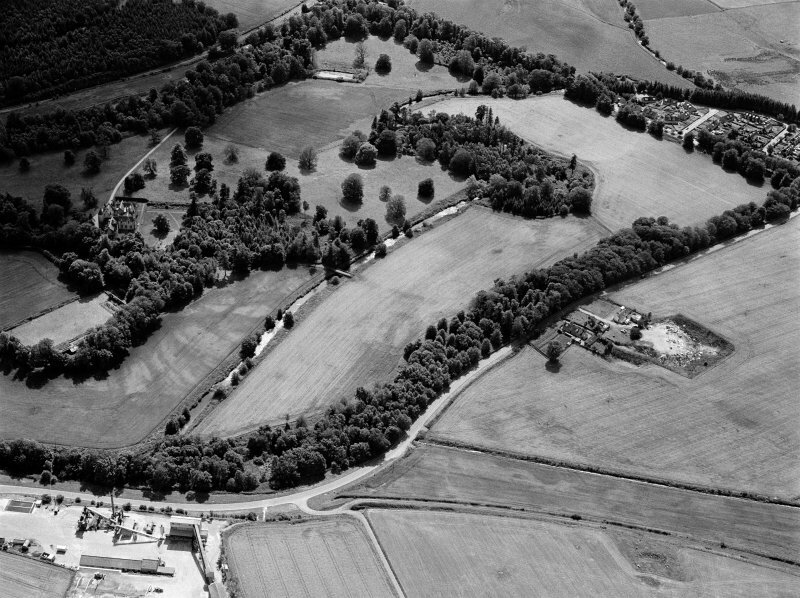 Visited by OS (RL) 26 February 1968. 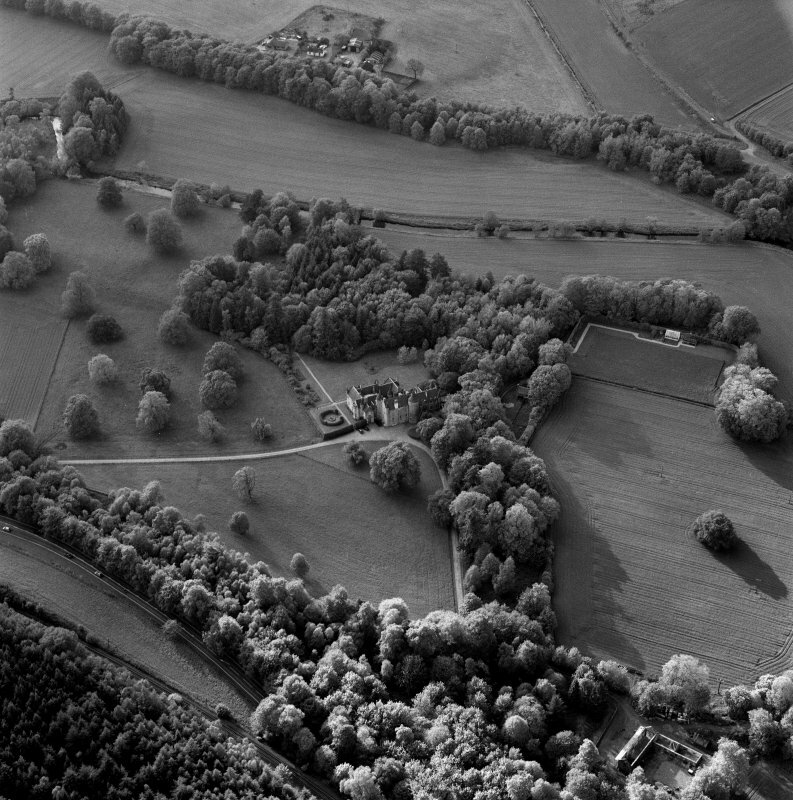 Air photographs: AAS/86/04/S6/6 and AAS/88/07/S12/2-5. 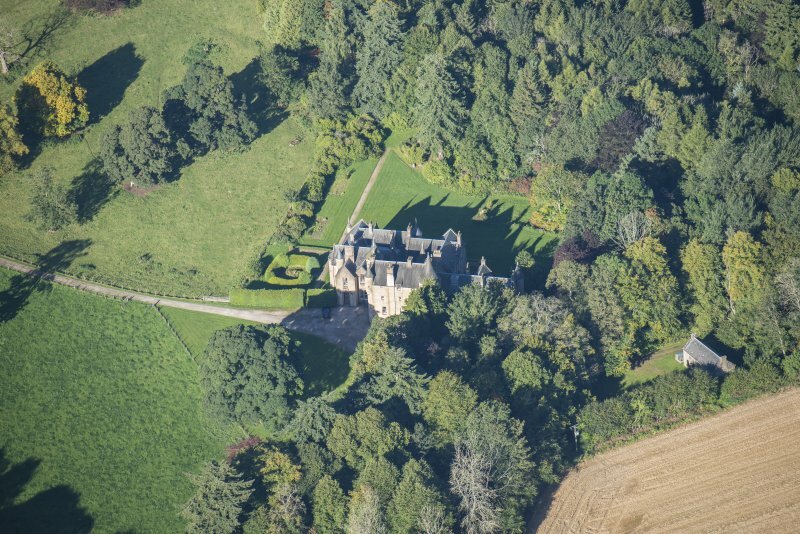 (Additional records and newspaper reference cited). 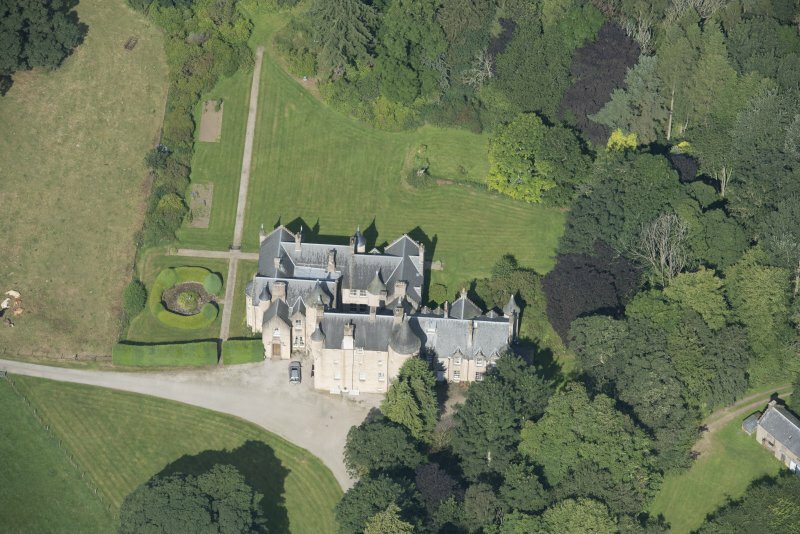 Photographic survey by the Scottish National Buildings Record in 1955.